CLPS is one of the largest credit card service providers in China. Most of the global credit card issuers maintain branches and supporting technical infrastructure in China. The development, testing, support and maintenance of these platforms require in-depth understanding and knowledge of business processes supported by IT. There is a significant demand for such IT consulting services among large-scale credit card platforms because many of such institutions experience shortage of qualified personnel and resources. CLPS has developed a series of credit card products in order to serve our client’s needs better. CLPS has successfully provided China and global clients to manage their credit card IT systems, such as Vision Plus. We offer expertise in customizing these credit card platforms to a variety of business models, ensuring that our clients are able to utilize their tools and platforms. 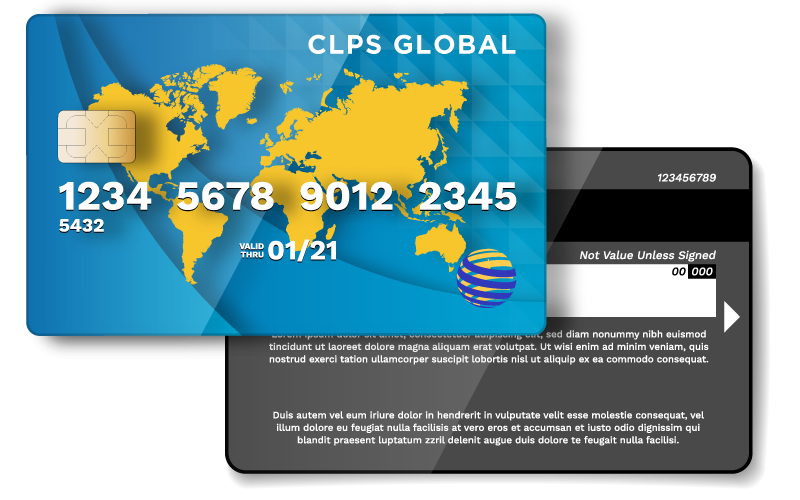 CLPS’s highly experienced team possesses the requisite expertise in providing the credit card services, including development, testing, support and maintenance on credit card platforms. The IT consulting professional teams provide the credit card services from Shanghai, Dalian and Hong Kong. CLPS offers this experience and expertise in various currencies, across different geographical regions, including but not limited to China, Singapore, UK, Philippine, Indonesia, Russia, Turkey, Latin America.